Treasurer maintains records of accounts, deposits and disbursements, is the co-signer with the President and President-Elect of all NPAA monies. Is responsible for preparing an annual budget to be approved by the Executive Committee. The Treasure shall serve as the chairperson of the Finance Committee. This officer shall serve for one (1) two (2) year term and will be elected in even numbered years. These students shall be elected to serve on the Steering Committee and serve for one (1) one (1) year term and will be elected annually. All executive committee positions carry a 2-year term. Student Members At Large carry a 1 year term. All nominees must be NPAA Members in good standing. All current members are invited to nominate themselves and/or other members. All nominees must complete the “Nomination Form” locatedhttp://www.npalliancealabama.org/call-for-nominations. Nominations shall be unrestricted based on consideration of age, color, creed, disability, gender, health status, lifestyle, nationality, race, religion, or sexual orientation. Join the Nurse Practitioner Alliance of Alabama! 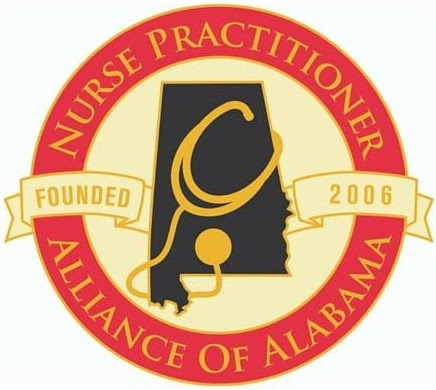 The Nurse Practitioner Alliance of Alabama (NPAA) is the professional organization that represents the State’s nurse practitioners (NPs) and students enrolled in NP programs. The mission of NPAA is to promote high quality healthcare for Alabama’s citizens. All NPs and NP students in Alabama are urged to join NPAA. For more information, visit http://www.npalliancealabama.org.